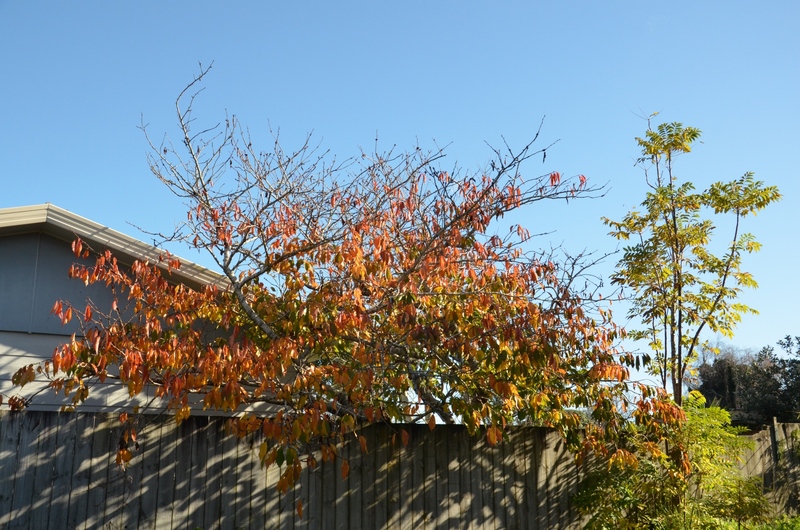 When we first bought this house, one of the things I loved was the flowering cherry tree that was hanging over to our side of the fence. It also gave some privacy from the neighbours. The house next door was sold recently and the new owner decided to chop down the beautiful tree. Apparently it was too close to the house or something. Nothing trimming the occasional branch wouldn't have solved. So here's some photos in memory of my favourite tree. Yes, I have an overgrown yard (we're working on it - bit by bit). Now that the beautiful tree is gone, I want to find something to replace it. I'm thinking of either a jacaranda, pohutukawa, or another (possibly fruiting) cherry tree. Such a gorgeous tree, shame it's been taken down. I like the idea of another cherry, or another fruit tree? Make sure your husband sees the Doctor!